Reports that the 'The View' host disparaged Gold Star widows as publicity seekers originated as fake news. 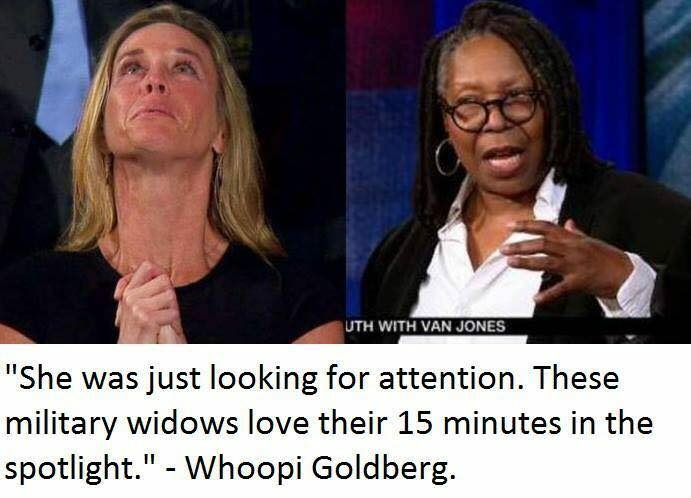 Whoopi Goldberg said that "military widows love their 15 minutes in the spotlight." Whoopi Goldberg is in hot water after comments she made regarding the Navy SEAL widow that was honored during President Donald Trump’s historical speech. “She was just looking for attention. These military widows love their 15 minutes in the spotlight”, Goldberg said. Bila: “I agree with you though about this concept of politicians using people as political props. I hate that. I hated that last night. I hated it even when President Obama signed the health care law. 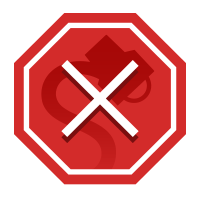 Underground News Report is a news and political satire web publication, which may or may not use real names, often in semi-real or mostly fictitious ways. All news articles contained within Undergroundnewsreport.com are fiction, and presumably fake news. Any resemblance to the truth is purely coincidental, except for all references to politicians and/or celebrities, in which case they are based on real people, but still based almost entirely in fiction. Undergroundnewsreport.com is not meant for individuals under the age of 18.